Spruce up your keys with a MINI Cooper Keychain! Hello Petemat, the information in this key reprogramming instructions was posted by a user in our forum and is intended to link new keys from MINI to the car (or your old keys after the key has lost its charge or the battery has been replaced). 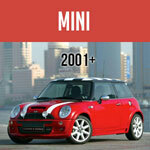 I have a 2002 r50 Mini one. I have purchased upgrade flip key from aliexpress. I have tried both methods of programming with no luck, also the tranponder cant be programmed with ak90. This new key came with pin code but not sure how this works. Thanks already for any help. If the battery in your key fob has been dead for a while, there is a good chance your fob may require re-programming. Unfortunately, we are not familiar with this company and do not have any experience with this product, so we are reluctant to make any recommendations. Hi Ken thanks for the reply..just wondering about this tool for Mini Key Programming...pls have a look http://www.autokeyprog.com/products.php?id=11..
Is there a Smart key coding/programming tool for new Minis.? Could some one send a link of the tool/video etc..
please get in touch daryl.crooks at outlook dot com thank you. I have a 2010 Mini Cooper. The light on the dash came on saying that the battery in the remote was weak called the dealership. They said the battery couldn't be replaced the whole key fob had to be replaced @ $258.00 each. I found some aftermarket fobs. I popped the key out of the old one & put it in the new one, pushed it in the ignition. Nothing worked. The second set of instuctions worked on my 2005 one. You saved my money and time. Thanks. Hi Daryl, I presume these are original keys that came with the car? It sounds like you have tried everything that I would have recommended.... did you try as 'Shownomercy' recommended below? I have a 2003 mini R50 diesel. one key works fine the other the remote doesn't. I've reset the remote new battery fitted. light flashes on key press bit the 2 procedures on here don't help. sos. I had one key that did not synchronise using the above procedures. I carefully cut the fob open along the side seam to inspect the battery connection. All seemed fine but I adjusted the contacta to improve the pressure on the battery. Put the key back together with superglue. Then I retried the synchronisation procedure again and Voila, it worked! I now have two working keys. Ken Suzuki you are awesome! I was on the verge of throwing my key in the trash after having replaced the battery myself. Fifteen seconds in the car doing this procedure and my remote lock/unlock works for the first time in months. I can't believe how simple that was. Thank you! mark cooper thank you! Was reading your post and said to myself; "3 parts to the key? The blade...yeah, the locking module...yeah and the rolling code wha...? What tiny black box thing...?" Looked at the back of the old plastic fob and said "Ohhhhh, that tiny black box thing." I almost threw the the fob case away, glad I found this or I'd be up a creek. Going to reinstall the "tiny black box thing" in my new fob so I can finally get my car started. LOL. Hello, bros and sisters! Let me tell you my story, maybe it'll help someone! I have an 06 MCS. Came with one key, that stopped working bc it fell on the floor. So, I decided to get a new one from a dealer. Got it for 180$ (165$ + taxes). The key would open and start the car, but the remote part had to be programmed. I'm not dumb, I can do it myself, right? Soooo... I try the first method, listed on this page. The one, where step 3 is "3. Put a key in the ignition and turn to the first click, then back and take the key out all within 5 seconds". Didn't work. Tried like 7-8 times, same result. Nothing happens. Then, I tried method #2, listed above. Where step 3 is "3. Turn key almost to the point of starting and back 4 times.". Step 5 is done, the doors did lock and unlock, BUT the remote still wouldn't work. Got upset, I mean, after trying method #1 the doors didn't react at all, and now they DID locked and unlocked after completing the procedure. But the remote still wouldn't work. Had to go to work, and after coming back, tried to give it another shot. Used method #1.. and IT WORKED!!! I don't know why, or how, but it worked. Maybe, the key was, that doing steps of #1 I was doing it slower, than all the other times. I mean, this time it took around 3 seconds to do step 3, when the first attempts, I tried to do it as fast as possible. Or maybe, whenever you get a brand new key from a dealer, you HAVE TO do method #2 first, and then try method #1? I don't know, but now my remote works!!! Programmed it myself! My advice would be - if you for some reason can't initialize your new remote, try doing method #2 first, then #1, and doing #1 don't rush yourself, do everything like the procedure says, make sure you press the buttons, so you can hear them click, etc. Good luck, bros! thanks so much for this info. worked like a charm on my 2006 mini! you saved me lots of time and money!! This is probably too late but... The plastic part of the key has a small chip in it called an RFID chip. That has to be moved to the new plastic part for the key to work. That chip is linked to your particular car. (I did the same thing and almost threw the old chip away with the old key parts) It's easy to miss when you remove the plastic part of the the key. thats unlucky andy have you tried the petrol and a match trick? Jaaon, what is the model/year of your MINI? 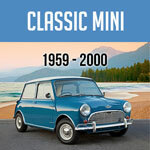 Are you the original owner of the MINI and is the key original? I have a 2007 mini cooper. my problem is I went to unlock the car to go to work and the key just spins. the remote has never worked and I only have 1 key..
Forgot to say it that the car only came with one key without the remote push buttons on it when I bought it. That is why I went with this route. So, in this case I should say this is a replacement key, but it is used. Hi, First of all, this key is the egg shape first generation key and has only two buttons(wing logo for UNLOCK & single LOCK button) on it.I bought this key on line and was swapping the blade & chip out to make it work. The key will start the car and lock&unlock the doors when insert the key into the door cylinder normally. However, it would not get programmed. I see a battery sitting on top of the main remote chip. Is that the battery you were mentioned? Otherwise, I don't see any other battery in the key fob it self. Thank you. Hi, I have a 2003 r50 Mini Cooper Base model hardtop and I have tried both methods without a success. Please advise. Thank you so much. Mini Mania: Is this a replacement key, or an original that just stopped working? These keys have a built-in rechargeable battery that gets charged when in the ignition. If this is a spare key that sat on the shelf for an extended period, the battery may be depleted. We have also seen batteries that fail to hold a charge. Ok Jason and other who replace key but no start. The blade. The remote locking module (often the reason we are doing the fix) The rolling code tiny black box thing in the back half of the key fob. Make sure you change the last one or car will open but not start. I changed the fob case, battery and micro switches and obviously the key blade over to the new case. I can now lock and unlock the car and the flashing alarm disarmed BUT despite the ignition going on the car won't start I.e. The starter Motor doesn't fire up. It does with the spare so nothing wrong with the car per se. The problem is with the immobiliser but I'm stuck. Any ideas? Thank you. 2003 Mini One. I changed the fob case, battery and micro switches and obviously the key blade itself. I can now lock and unlock the car and the flashing alarm disarmed BUT despite the ignition going on the car won't start I.e. The starter Motor doesn't fire up. It does with the spare so nothing wrong with the car per se. The problem is with the immobiliser but I'm stuck. Any ideas? Thank you. I have the same problem as Jeanette. I changed the ac compressor and now when I turn the key, I have electrical oower but the car won't start any ideas? I just tried the second reset procedure as the first didn't work. It reset the key that wasn't working but then the other one stopped working. I can only get one or the other key working not both......any ideas? Yes, similar to danno's post I have a push button start and both of my original keys have stopped working for locking/unlocking. Any suggestions. Danno: Is this a new replacement key, or did the original stop responding? I have a 2011 Cooper S with push button start. How do I program the keyfob? mini one will not start just a clicking when hold key in start. battery good starts on jump start any help on this please? The keys do not get ordered from Germany. If ordering from dealer usually you can pick up the next day. They have been ordering from PA and the overnight them. Hi I dropped my keys crossing the road ! The key got bent by a van driving over it ,so I bought a blank key from e bay and had it cut from a locksmith . I've managed to salvage the remote part and that works ok but although the new key will open the doors manually and will turn the ignition on it won't actually start the car . Are the original keys coded ? Find a certified locksmith for a replacement key. Most of them do stock them, my last one cost me 80 bucks. This article refers to the R50/52/53 which includes the 2002-2006 Hatchbacks and 2005-2008 Convertible. I don't understand, I have a 2008 Mini, the key does not turn it is electronic and just pushes in. Best place for a replacement? Awesome! I tried the first instructions, which also appear on other web sites, and nothing happened.Second set of instructions worked perfectly! Thanks!!! hello, I have a mini cooper 2002 (the r50 model) and i got a problem with one of the keys. I just replaced the plastic part of the electronic key. Now when I am turning this key in the ingnition, it does not give power to the car to start driving. However this key turns in the ignition and it can lock and unlock the car. Any one pls help? Hey, the second set of instructions worked on my 2008 mini convertible -- equally happy! Thanks you. thank you so much its just worked for me i am chuffed to bits thank you !!!!!!!!!!!!!!!!!!!!!!!!!!!!! I have a 2008 convertible S and I tried everything to reset the key. Nothing worked EXCEPT 1. Get in car and close doors. 2. Insert key into ingnition. 5. Hold down the "unlock" button on the key and push the center "lock" button on the key three times, releasing the unclock button on the key as you release the last of the three "lock" pushes. None of this works for me, what is likely to be wrong? Thanks. I have a 53 plate mini one, will this work for this car?